Nadine Kaadan paints a story that is unlike many children’s stories. She explores a topic that would be hard to broach with children. She condenses the idea of war and it’s effects into a language children can understand and process. Set in Syria, the story gives the reader a glimpse into the confusion and desperation in a child, that comes about as an effect of war. We are eerily introduced to Yazan who is in a state of confusion because of all the change that is happening around him. Parts of his everyday routine like going to the park and visiting friends are all thrown off. Even his mother’s mood seems to have changed as she doesn’t seem to want to paint anymore and his father is always tense. One of the reasons this is a great story is because it humanises children that are often portrayed as other by the media. Children in Syria are seen as suffering or sullen and quiet. This book shows them as regular kids. Young Yazan enjoys riding his bike, making paper planes and visiting the park. He too gets frustrated with life sometimes and acts out just like a regular child would. The book serves as connection between a child living in Africa and one living in Syria. 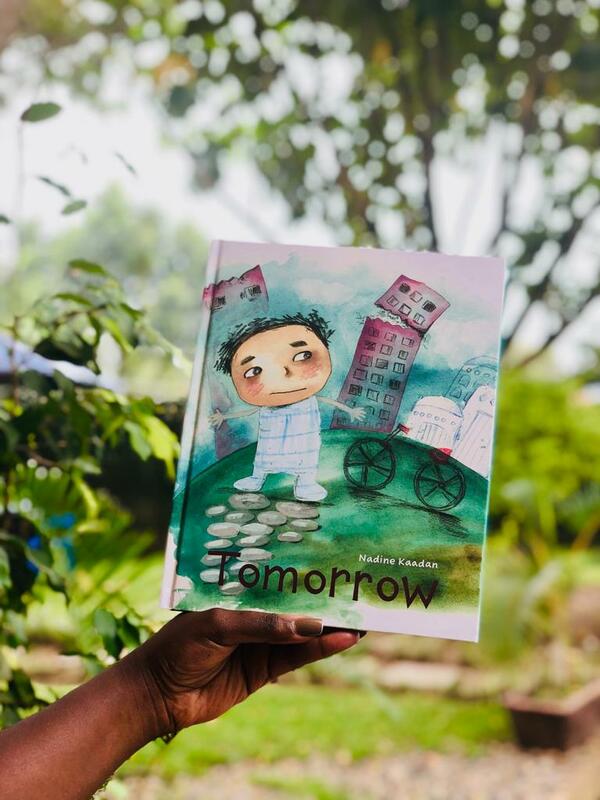 For children that may have never known war, like many here in Kampala, the book also opens the door for conversation concerning a reality outside their own. You begin to expand their world views and show them that their way of life is not the only way. Emotions like empathy and even a hunger for societal change can be birthed through this opening of minds. It can also be a way to help a child understand privilege and why they should be grateful for all they have. The themes which echo through the gloomy and dark palette used in the illustrations sets the tone for how the reader is expected to feel; trapped. While it is seemingly difficult to read, it tells a tale that is very necessary in today’s political climate. It gives us an insight into the experiences of the voices that are often times silenced during times of unrest while also, in a gentle way, preserving the innocence of its intended audience. It’s definitely a necessary read. This book is most suitable for children aged 7-9 in particular because of the subject matter. Explaining the intricacies of the book to a child younger than 7 might prove a little difficult. This book is readily available at our children’s library in Bugolobi, Plot 9, Bazarabusa Drive. Looking to expose your child to more impactful literature? 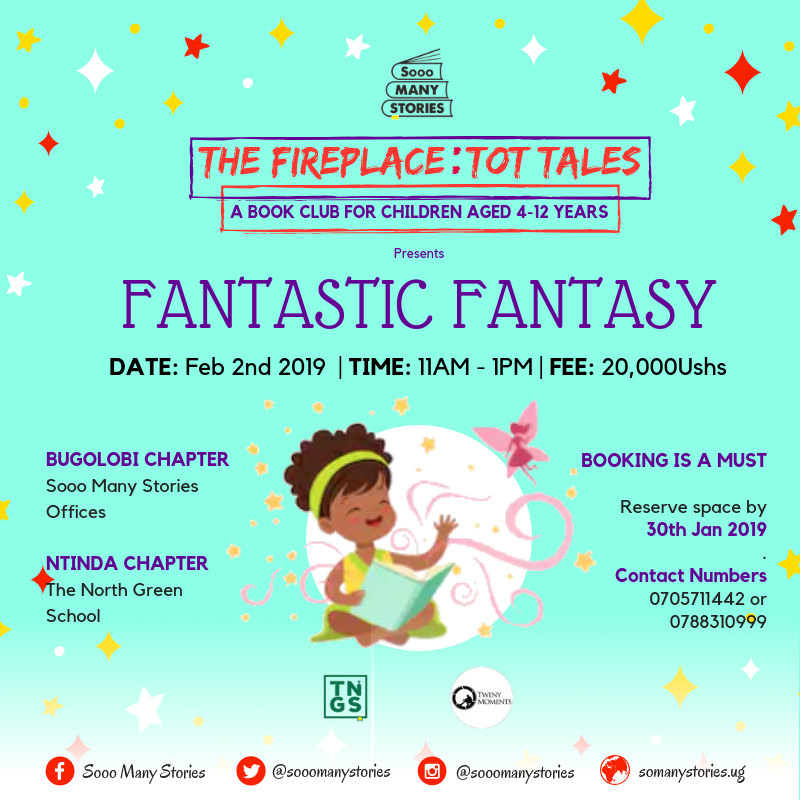 Our children’s book club, The Fireplace: Tot Tales, starts up again in February! Have you booked your child’s spot yet? See details below.